321 Stainless Steel Male Adapter, SS DIN 1.4541 Compression Tube FittingsSuppling at Philippines, ASTM A182 Tube Fittings Manufacturer, Stainless Steel 321 Female Branch Tee Suppling at Germany, SS 321 Straight Union Manufacturing at Morocco, Stainless Steel 321 Reducing Union, SS 321 Bulkhead Lock Nut Manufacturer & Stockist in Mumbai, India. Alpha Overseas manufactures and trades SS 321 Compression Tube Fittings, which is stabilized against chromium carbide formation by the addition of titanium. This addition in Alloy 321 Compression Fittings is made to reduce or eliminate chromium carbide precipitation - resulting from welding or exposure to high temperatures. 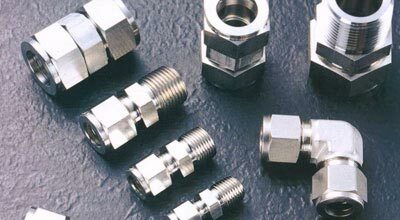 Grade 321 Tube Fittings are used because they are not sensitive to intergranular corrosion after heating within the carbide precipitation range of 425 Degree C – 850 Degree C. Characterised by high corrosion resistance in general atmospheric corrosive environments, Type 321 Ferrule Fittings exhibits excellent resistance to most oxidizing agents, dyestuffs, sterilizing solutions, general foodstuffs, most organic chemicals plus a wide variety of inorganic chemicals, also nitric acid, steam combustion gases, hot petroleum gases, and to a lesser extent sulphuric acid. Stainless Steel 321 Ferrule Fittings Suppling at Qatar, SS UNS S32100 Double Ferrule Fittings Manufacturing at Spain, Stainless Steel 321 Ferrule Fittings, SS 321 Union Tee, Stainless Steel 321 Male Connector Suppling at Egypt, SS 321 Female Elbow, SS 321 Bulkhead Union Supplier & Exporter in Mumbai India. The weld areas in these AISI 321 Double Ferrule Fittings, with temperatures 930 Degree F – 1470 Degree F, are often called carbide precipitation zone – in which Chromium (Cr) combines with Carbon (C) and precipitates chromium carbides at the grain boundaries significantly reducing corrosion resistance of steel in this zone. These 321 Stainless Steel Compression Tube Fittings provides excellent resistance to oxidation and corrosion and possesses good creep strength. The resistance to sensitization of these Stainless Steel UNS S32100 Tube Fittings, coupled with its higher strength at high temperature makes it suitable in application where SS 304 will become sensitized, or where SS 304L has insufficient hot strength. 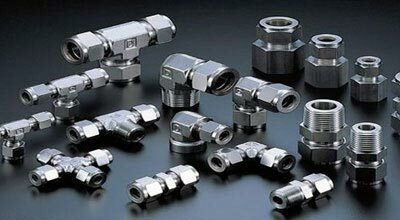 We are Exporter of Stainless Steel 321 Tube Fittings in Worldwide Such as Ghana, Spain, Denmark, Greece, Mexico, Russia, Hong Kong, Yemen, Switzerland, Bhutan, Austria, United States, Poland, Peru, China, Oman, Qatar, Croatia, Nepal, Jordan, Azerbaijan, Belgium, Puerto Rico, Argentina, Germany, Australia, Ukraine, Lithuania, Ecuador, South Korea, Indonesia, New Zealand, Iran, Libya, Pakistan, Colombia, Ireland, Sweden, Iraq, India, Singapore, Kazakhstan, Afghanistan, Chile, Chile, United Arab Emirates, France, Tibet, Gabon, Poland, Czech Republic, Costa Rica, Norway, Algeria, Kenya, Saudi Arabia, Sri Lanka, Netherlands, Turkey, Taiwan, Morocco, Venezuela, Nigeria, Bolivia, Bahrain, Kuwait, Gambia, Trinidad & Tobago,Tunisia, Mexico, Hungary, Bangladesh, Namibia, Italy, Bulgaria, Lebanon, Nigeria, Angola, Slovakia, Romania, Portugal, Serbia, Malaysia, Brazil, Philippines, Canada, Estonia, United Kingdom, Mongolia, Zimbabwe, Finland, Belarus, Iran, Macau, Vietnam, Japan, Egypt, Thailand, South Africa, Israel. We are Suppliers of Stainless Steel 321 Compression Tube Fittings in India Such as Doha, Busan, Melbourne, Pune, Visakhapatnam, Istanbul, Kanpur, Santiago, Toronto, Haryana, Colombo, Ahmedabad, Perth, Mumbai, Chiyoda, Montreal, Kuwait City, Bogota, Vadodara, Ahvaz, Karachi, Baroda, Bengaluru, Cairo, Kuala Lumpur, Ernakulam, Port-of-Spain, Hyderabad, Moscow, Navi Mumbai, Secunderabad, Indore, Petaling Jaya, Jeddah, Al Khobar, Geoje-si, Kolkata, Ankara, Rio de Janeiro, Gimhae-si, Ranchi, Granada, Faridabad, Riyadh, Nagpur, Rajkot, New Delhi, Thane, Ludhiana, Vung Tau, Singapore, Al Jubail, Manama, Sharjah, Surat, Coimbatore, Aberdeen, Jamshedpur, Noida, Atyrau, Dallas, Seoul, Bangkok, New York, Howrah, Courbevoie, Brisbane, Calgary, Algiers, Sydney, Abu Dhabi, Lagos, Dammam, Nashik, La Victoria, Lahore, Houston, Thiruvananthapuram, Jakarta, London, Los Angeles, Mexico City, Bhopal, Dubai, Milan, Jaipur, Hanoi, Chennai, Ho Chi Minh City, Gurgaon, Caracas, Madrid, Pimpri-Chinchwad, Tehran, Chandigarh, Edmonton, Ulsan, Hong Kong, Muscat.